Laura Lotti became a specialist in music for babies and toddlers. She works together with Stichting Memorabele Momenten, Walkaplan, MiniChichi and Black Cat Theatre Amsterdam. 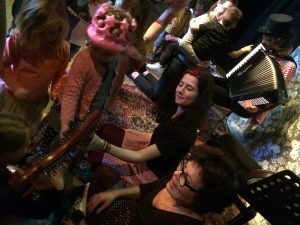 As a member of Stichting Memorabele Momenten you can see Laura Lotti in music performances at kindergarden’s and Public Library’s at Amsterdam. Laura Lotti also participates regularly at children theatre performances at Wonderland directed by Makiko Ito and at Casa Kinderen at Teatro Munganga. Laura Lotti produced together with Manuela Lucia Tessi a theatre piece called Sirena (release in 2017 at Teatro Munganga). 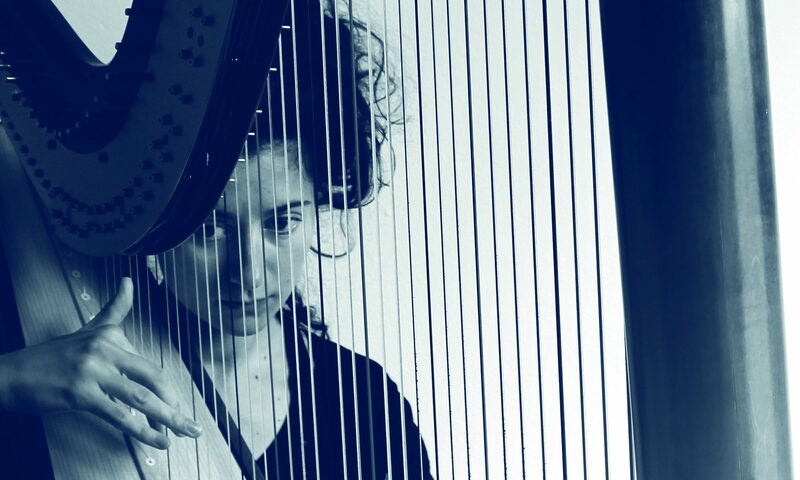 In Sirena dance and harp music are combined and both are influenced by the magic of the sea. The show has been created for young children. Black Cat Theatre Amsterdam. “Four Seasons” is a beautiful, poetic performance that tells us about the most extraordinary and magical things in the surrounding world – in nature – using dance, picture and live music. It tells us about the rhythm of nature and how it changes, how many colours and shades it has, and, finally, about how many emotions all these dreamlike moments provoke when the seasons are at their height and are the most beautiful. Laura Lotti participates in a Kamishibai workshop created by Ayumi Matsuda and Yvonne Rietbergen. The Kamishibai storytelling has been a tradition in Japanese culture for ages. In this workshop you can hear a traditional Japanese story about a Crane combined with Japanese music played on recorders and harp.